Earth has been conquered. An extraterrestrial race known as The Assembly has abducted the adult population, leaving the planet’s youth to fend for themselves. In this treacherous landscape, Holt, a bounty hunter, is transporting his prisoner Mira when they discover Zoey, a young girl with powerful abilities who could be the key to stopping The Assembly. 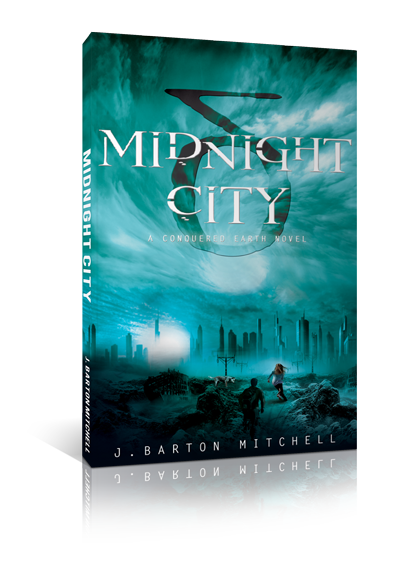 As they make their way to the cavernous metropolis of Midnight City, the trio must contend with freedom fighters, mutants, otherworldly artifacts, pirates, feuding alien armies, and perhaps most perilous of all: Holt and Mira’s growing attraction to each other. Published by St. Martin’s Press.